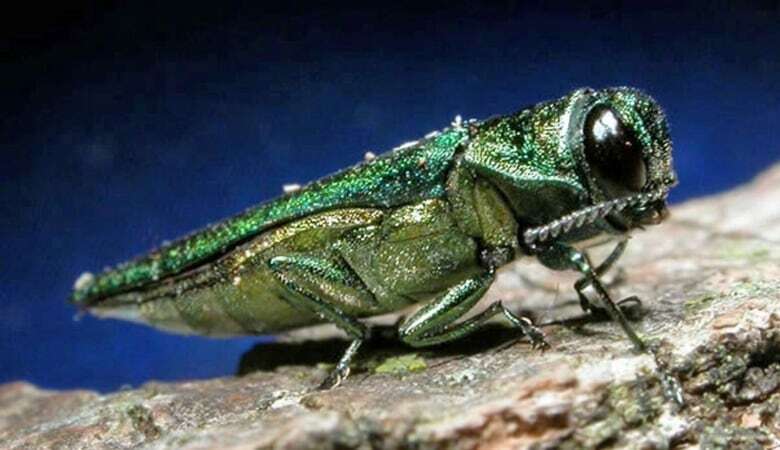 If Winnipeg's fight with the emerald ash borer resembles the experiences of cities like Ottawa and Toronto, the insect will bring the demise of thousands of trees over the next few years and dramatically change how some neighbourhoods look. 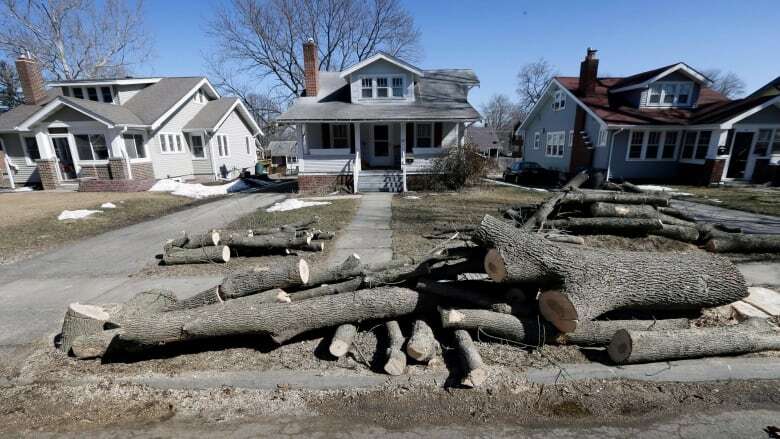 If Winnipeg's fight with the emerald ash borer resembles the experiences of Ottawa and Toronto, the insect will cause the demise of thousands of trees over the next few years and dramatically change how some neighbourhoods look. The beetle moved into Toronto a little more than a decade ago and has killed large swaths of trees there, as it has in Ottawa, Montreal and other cities in between. No one was surprised when the insect was found in Winnipeg earlier this year. Patti Moloney, who lives in Uxbridge, Ont. — just northeast of Toronto — said she took the ash canopy in her neighbourhood for granted until nearly all of the trees were cut down last fall after becoming infested. "We were walking home with the kids from their school and I looked around and was, like, something is totally different. It just feels so barren," she said. "Suddenly everyone's front yards and backyards and the school grounds and the boulevards along the street are a lot more bare. It's a stark difference." Moloney, a jewelry maker with a company called Dimples, was so moved by the change she began a line of tree bark-inspired jewelry, and donates some proceeds to Forests Ontario. Winnipeg announced details of its $1.3-million ash borer control program last week. The city's urban forestry branch will select ash trees on city property this summer and inject them with insecticide treatments. Experts say insecticide is more of delay tactic than a cure — it buys cities time to hopefully plant replacement trees so crews can stagger the removal of ash trees. While in its larvae stage, the emerald ash borer munches on an ash tree's conductive tissue, or cambium, effectively cutting off circulation. The bugs can kill a tree within a few years. It's incumbent on municipalities to take down borer-infested ash not just to protect other trees nearby — the damage caused by the beetle is also a liability. Once limbs begin to die they become a hazard to anything on the ground, including cars and, of course, people. Michael Rosen, president of Tree Canada, a charity that promotes forests, said in the Ottawa area where he lives, the impact of the emerald ash borer was "traumatic." "The effect on the city was absolutely tremendous. There was a lot of neighbourhoods that were totally covered in ash [trees]," he said. Between a quarter and a third of all trees in Ottawa are ash, said Rosen. Just as in Winnipeg, where elm trees form an almost complete canopy on some streets, ash once blanketed older Ottawa neighbourhoods in green. In just a few years, most were gone. Historic neighbourhoods suddenly felt like new subdivisions, Rosen said. In Toronto, it's a similar story. 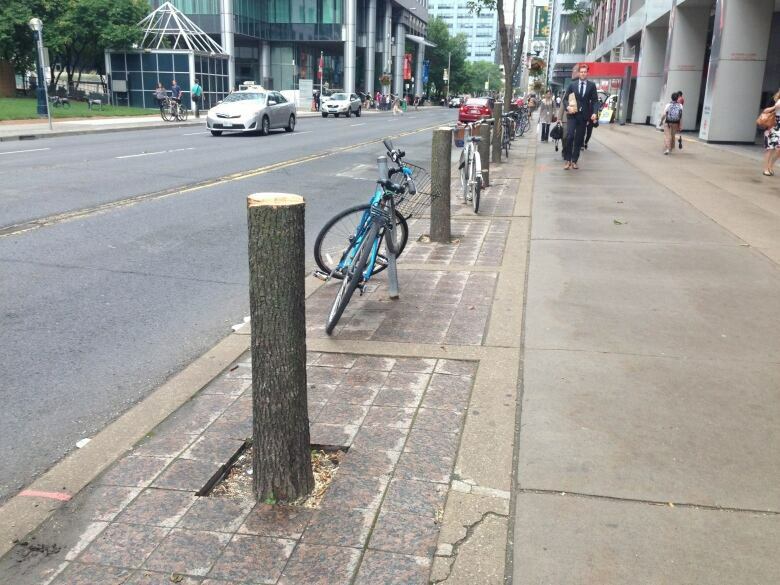 Thousands of trees in the city have been cut down in recent years. 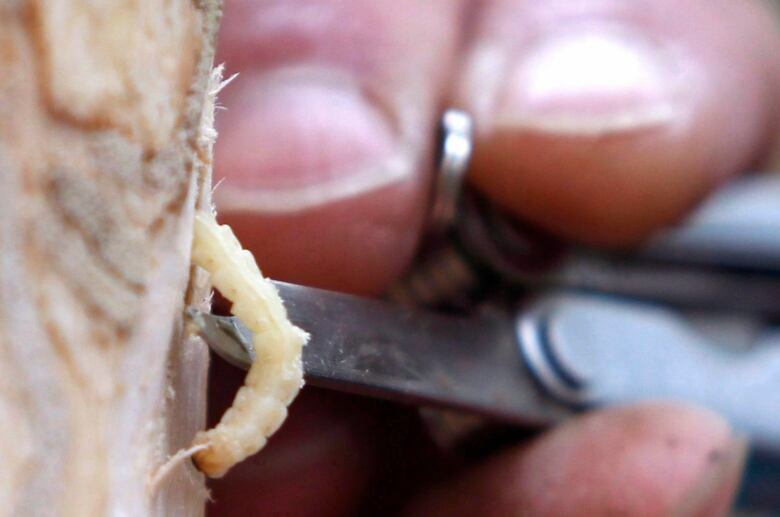 It's estimated the emerald ash borer could affect 860,000 trees in Canada's largest city. "It's been an impact that's very visual and one that's quite obvious to the average person," said Janet McKay, a Toronto resident and executive director of Local Enhancement and Appreciation of Forests. The non-profit works with citizen groups, businesses and municipalities in the Greater Toronto Area to plant trees. Growing trees in cities is notoriously difficult. Road salt, compact soil, pollution and Canada's winters all make urban areas unkind to trees. The first tree of choice in these harsh environments used to be elm trees, which for some reason thrive in urban areas. After dutch elm swept through toward the later half of the last century, municipalities planted ash instead. "It's a great urban tree but of course, we didn't anticipate this insect coming," said McKay. Lately, her organization has been replacing the old ash stumps with a diverse mix of trees, including silver maple, Kentucky coffeetree and honey locust. McKay also likes shrubs, like Saskatoon berry bushes, which can help remediate soil and provide food for birds, not to mention people. Rosen, who has helped municipalities battle dutch elm disease for more than a decade through Tree Canada, said it can be hard to convince residents cutting down trees before they are completely dead is the right move. Once you can see dead limbs in the canopy of an ash tree it is already infested with sometimes thousands of worms, he said. Peel back the bark and the cambium would likely be carpeted in white larvae. "It's quite gross, actually," said Rosen. "By the time you're able to visually see the effects you really have to get rid of the tree." To give a tree its best shot at survival, crews should begin treating it with insecticide before it shows any obvious signs of infection. There's still no guarantee the insecticide will ever completely eradicate the pest, though. For now, the recommended course is to treat a tree every year or two to keep it alive. This year, Winnipeg said it will be treating 1,000 ash trees on boulevards and parks, and remove up to 800 trees. The city estimates there are 350,000 ash trees in Winnipeg, about 100,000 of which are on public property.